The best content marketing strategies involve research and collecting and interpreting data. It’s easy to overlook this step and jump right into creating content, but that can prove to be a mistake – one that ultimately leads to spending more time and more money on creating content that gets results. But if you want to get it right on the first try, there’s no better way than through research. In this blog post, I’m going to show you how to win at content marketing with kickass content research. If you use content marketing in any way, research is a must – and it will help improve your results. But, how exactly can it do that? And what else do you get out of performing content research? 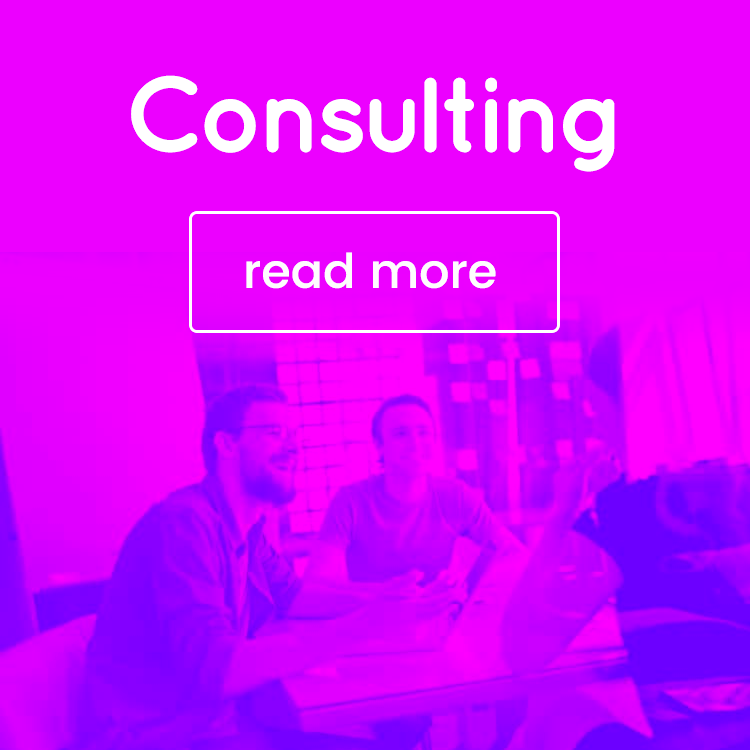 Well, to put it simply, a data-driven approach to strategy will help you make better-informed decisions – and this is true of most marketing strategies and definitely true of content marketing. Because there is so much content being created and shared every day, the competition is fierce. So, if you want to stand out and create better content, the best place to start is through research and by gathering (and interpreting) data. One of the most important ways in which content research helps a marketers/business is that it helps them learn more about their target audience and what their needs and wants are, as well as what kind of content performs best in their niche/industry. And this is very valuable knowledge because it helps you build a better content strategy and generally, create better content; i.e. content that is truly relevant to your target audience and presented in a format that they prefer. 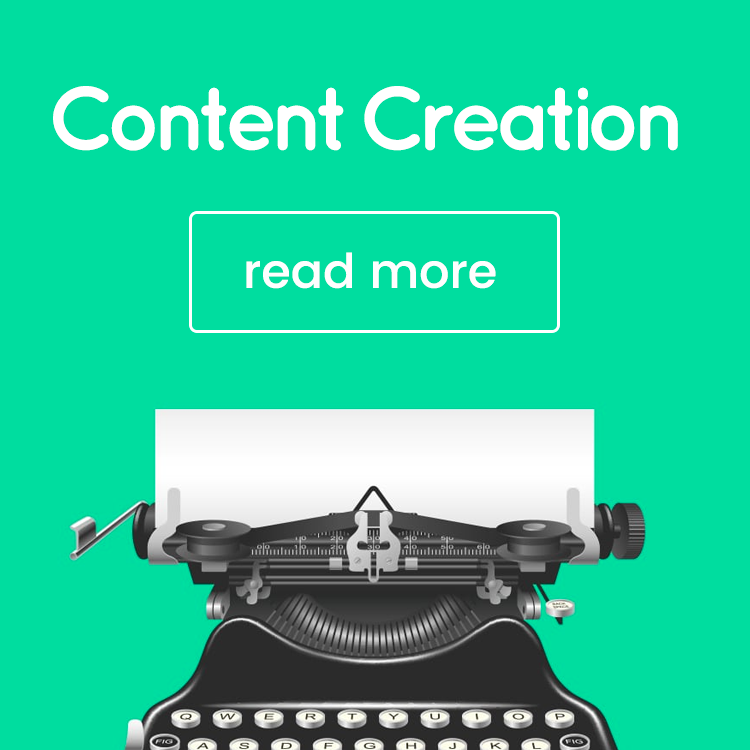 Start your content research now. So, how do you perform all of this in-depth content research, easily and quickly? Because using Google to look up articles or manually checking dozens of publications daily is entirely too time-consuming. The answer, of course, is you need a tool that can do most of the work for you. 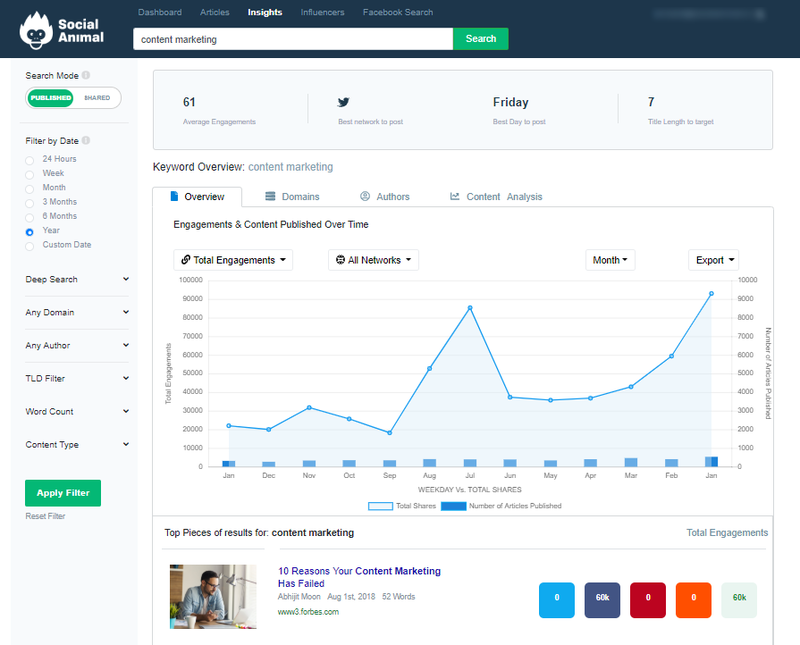 And I’ve had the recent opportunity to try out an all-in-one content research tool, Social Animal – read on to find out what it can do and how you can use it to improve your content strategy. The simple answer: it’s a content research tool. However, it’s actually much more complex than it might look like at first glance. But the best thing about it is the serious amount of data they’re crunching every time you make a search: over 140 million articles, close to 94 million social influencers and up to over 32.7 million keywords. Pretty impressive, right? And since I’ve taken this screenshot, another 20k articles were added. Here’s how you can get your hands on all that data. What it means is, you can make sure you’re getting all the data you need to build a better content strategy for your business. One of the essential elements of a good content research tool is a powerful search engine. You need to be able to narrow down your search as much as possible so you can make sure that you’re finding the right content. What I love about these shortcuts is that they reflect the trending topics from around the world. So if you write about trending topics, this is definitely a great place to start. But it’s when you go to the Advanced Search options by the side, you get down to the really good stuff: it’s not just about the keyword here; you can filter down content based on word count, based on a specific domain or author, by top-level domain (which can help you narrow down locations, or educational, organizational, and commercial domains), as well as by content type (how to guides, listicles, infographics, etc.). Do an advanced search now. Which is very important when you’re dealing with so many pieces of content and this much data – you need to be able to get to what is of interest to you, quickly. What’s great is that you can look up almost any type of content that you can think of to narrow down your search. Not just the usual suspects, like videos, infographics, and regular blog articles, but actually narrow down on guest posts, giveaways and quizzes, as well as case studies and webinars. Additionally, you can also create projects for full-time monitoring: this way, any keywords’ you’re monitoring can be easily accessed at any time from your dashboard, and you’ll be able to see at a glance what trending articles were posted recently. I know – it’s very tempting to think you know what your target audience wants. What their needs are. What their questions are. But, chances are, you might not know them as well as you think. You might know their ages, their gender, their location, their occupations, but that doesn’t mean you know what kind of content they like, or what kinds of problems they might have and how content helps them solve those problems. And in order to create quality content, you need to know more about who they are so that you can ultimately create content that is tailored to their needs and wants. By researching the content in your niche, you can gain a better understanding of what kinds of content your audience wants and what they’re reading and sharing. 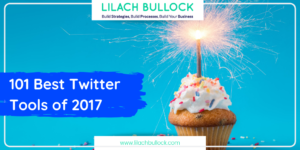 Look up trending articles in your niche. And what I can see looking at the results I got in my search is that audiences are interested in educational posts about content marketing. The large majority of the top shared posts in the list are either how-to guides or posts with tips for beginners and intermediate users. 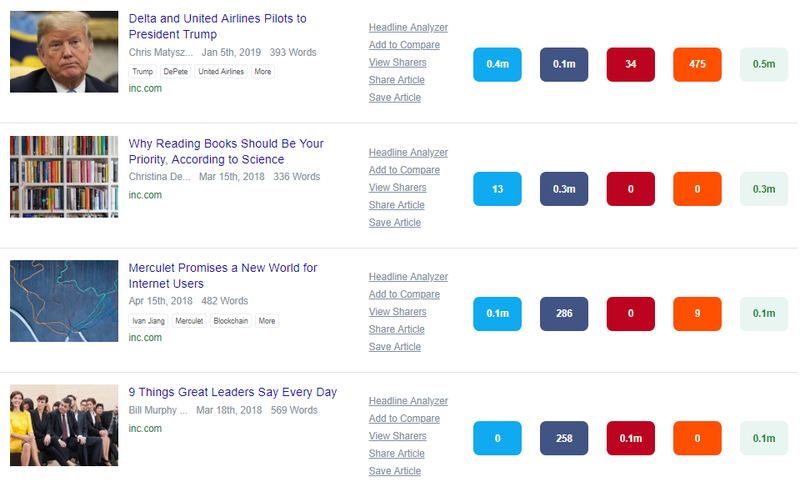 If I take a deeper look, I can also see how many words each post is, which then tells me whether readers prefer long or short posts (in this case, all of the top posts are over 1,100 words). And if I look at the total shares for each network, I can tell what social network the content marketing audience is using – in this case, Twitter seems to be winning comfortably (which is great, because it’s my favourite social network too). Which, it’s worth mentioning, are based on full articles containing your keywords – and not just articles with the keywords in their headline. And not only do you get insights, but you also get clear, to the point recommendations for your content strategy, like the best days to post, the best title length, and the optimum word count. Another very useful feature is that you can analyse the headline of any article you find to help you better understand what types of headlines work best. And that is very useful knowledge as a good headline can make all the difference: more shares, more traffic, and more engagement overall. Want to analyze your headlines? Click here. One of the best ways to find social influencers is through their content. With proper content research, you’ll be able to discover the top sharers in your niche – those bloggers or publishers that regularly get great results on their content. Basically, the people who get most readers and social shares, consistently. And if you’re going to work with a social influencer on a marketing campaign, you’ll want to work with one that talks about the topics that interest your target audience and that gets high traffic and engagement rates on their content. Social Animal might primarily be a content research tool, but it’s also a very powerful influencer marketing tool. And it makes sense – influencers, after all, are often those who post the most shared, most engaged with the content. So, to find influencers, you have 3 options. First, you can use the regular content research tab and search for content using keywords. Once the results are displayed, you will be able to click on the “View Sharers” option next to each article. On the left-hand side of the screen, you can see a list of the 5 top domain and 5 top authors; following that, you can widen your research by looking up all the domains and authors to see all of the articles being shared by that published/author. 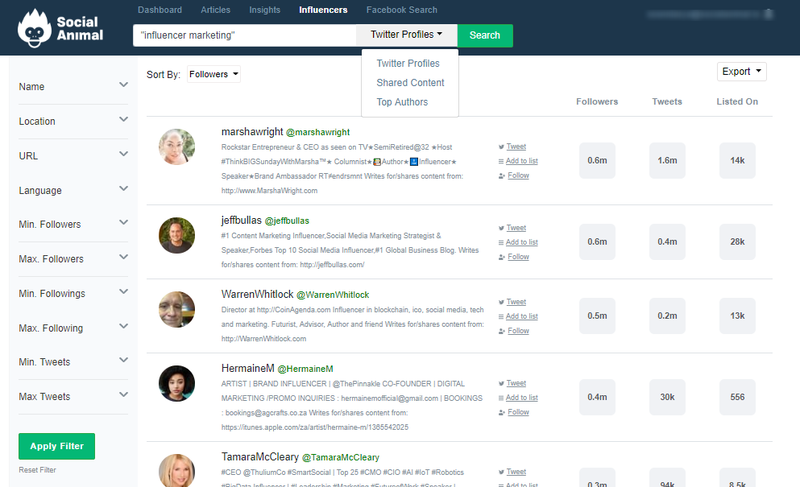 Secondly, you can find Influencers through “Insights”, where you’ll be able to view most engaged authors by a network. And when you click on “Explore”, you’ll be able to view all the contributions made by that author. 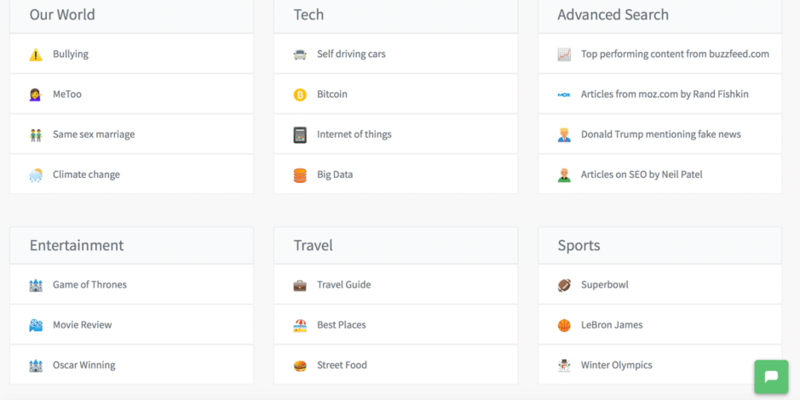 Social Animal then lists all of the relevant influencers for that keyword, which you can then sort by number of followers, average number of shares, or their influencer score. The final option is unarguably the most powerful Influencer search option. Use the “Influencers” tab on your dashboard to get a larger list of Influencers based on keywords in the content they share. Here, you can switch between different modes of Influencer search. 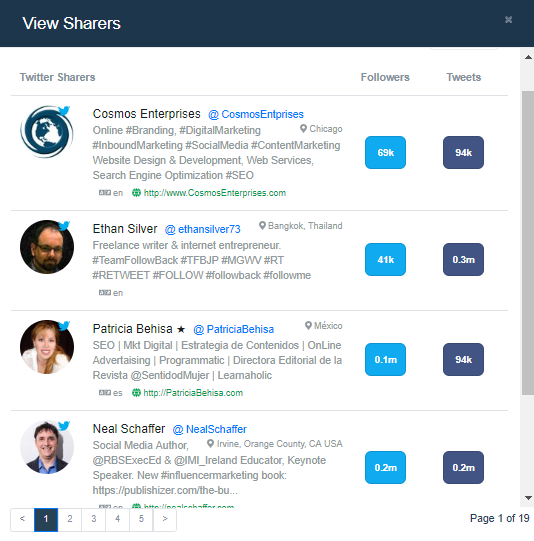 You can choose to search for influencers based on their Twitter bio or content shared. There is also a ‘Top Authors’ mode which fetches you influential authors writing for publications on your keyword. You can also filter influencer results by name, location, URL, language. 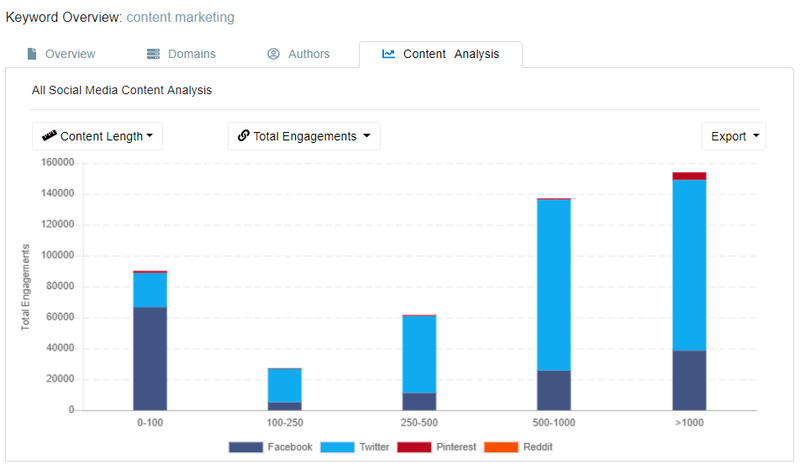 Additional filters include sorting results by tweet count, follower count, and the following count. Find top influencers for your brand. It’s also worth noting that these influencers are identified not just based on their bios (which is usually the case), but also based on the keywords they use in the content they share – which will massively widen your search and help you find better influencers for your needs. If you discover any influencers that you’re interested in, you can easily save them or add them to an influencer list, and you can also quickly follow them or tweet them. It’s also worth mentioning that all of this information can be quickly exported to a .csv or Excel file for safekeeping. 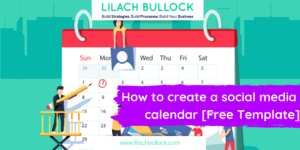 Another big benefit of staying on top of the content being shared in your niche is that it helps you come up with great ideas for content for yourself. That’s not to say you should copy what others are doing; rather, by seeing what types of content topics and formats work, you can get inspired to come up with your own amazing ideas. 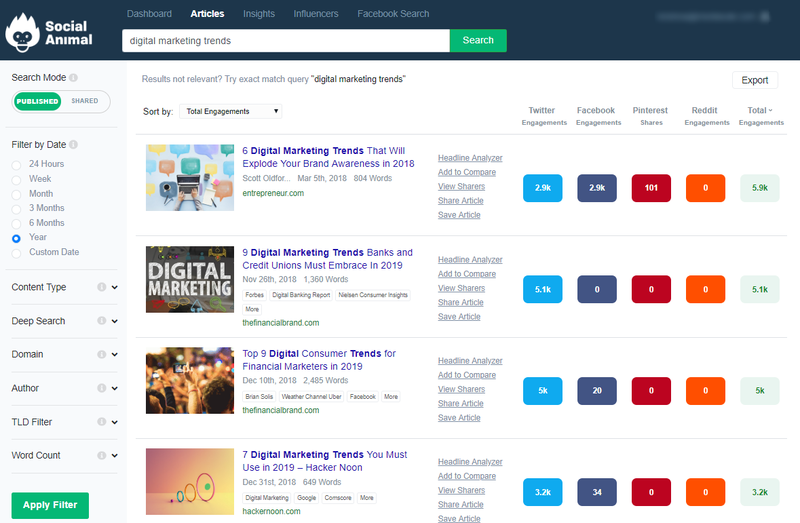 Using Social Animal, you can easily research all of the keywords you want, so you can see what types of content are being shared and get some inspiration; you can then simply click on them to see what results you get. Plus, you also get the headline analyser feature that I mentioned earlier – which means that while you’re looking for inspiration, you can also come up with better headlines. Content curation is a great way to grow your own social influence, build trust among your audience, increase your website and blog traffic, and improve your audience engagement. But in order to do that, you need to consistently be on top of all the latest and best content being shared in your niche and then, of course, sharing it with your own audience, whether it’s on your blog or website, on your social channels, or any other digital channel you might be using to reach your audience. 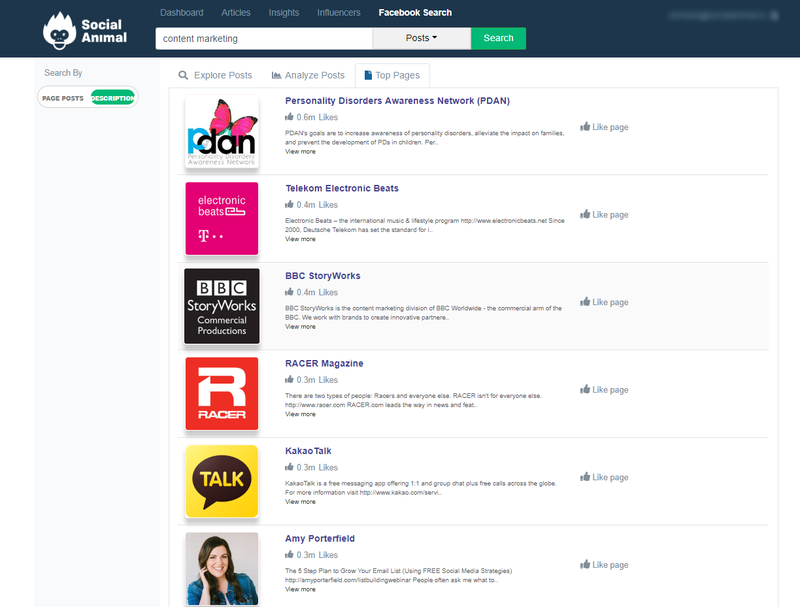 With Social Animal, every time you log into your account, you’ll be able to see all the latest top content being shared – based on your set keywords. Sometimes when you curate content, you might share the same article repeatedly. To avoid this, when you curate content from Social Animal, you’ll know exactly what you shared or clicked on, since the articles you shared in the past appear lighter compared to newly published articles. Join and curate the best content. Additionally, The dashboard displays top articles of the week with popular Facebook posts for each of your projects based on the set of keywords you chose. And for great content curation, you not only need quality content, but also a lot of fresh content. 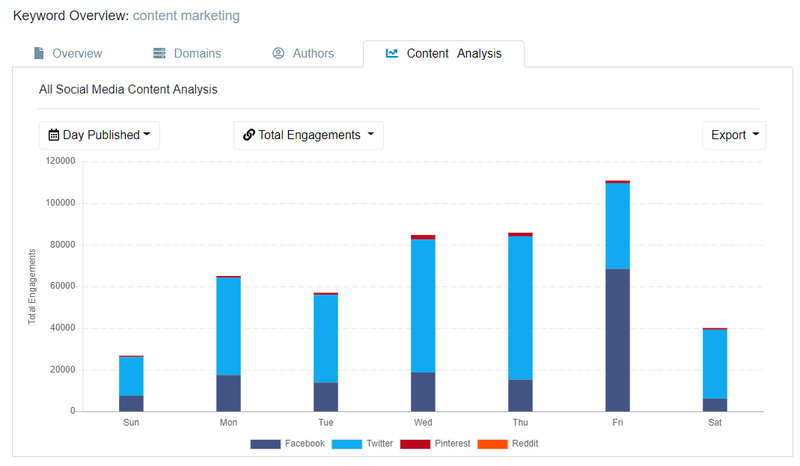 Another way to use Social Animal is to monitor your competitors and their content strategy. As I showed you earlier, you can set up monitoring projects – and you can also monitor websites, Twitter handles, and Facebook Pages. This allows you to keep an eye on your competitors’ strategy and understand what types of content they’re sharing – and perhaps more importantly, how exactly they’re performing. 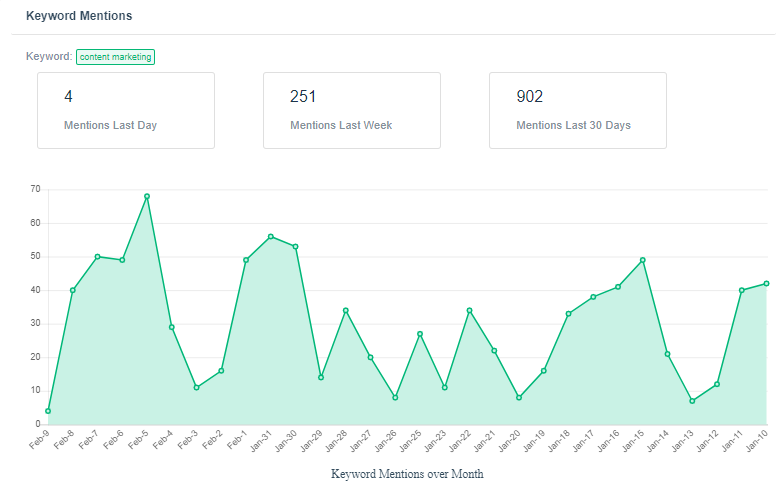 Social Animal also sends you daily alerts that contain Top articles and competitor mentions along with potential influencers you could follow. 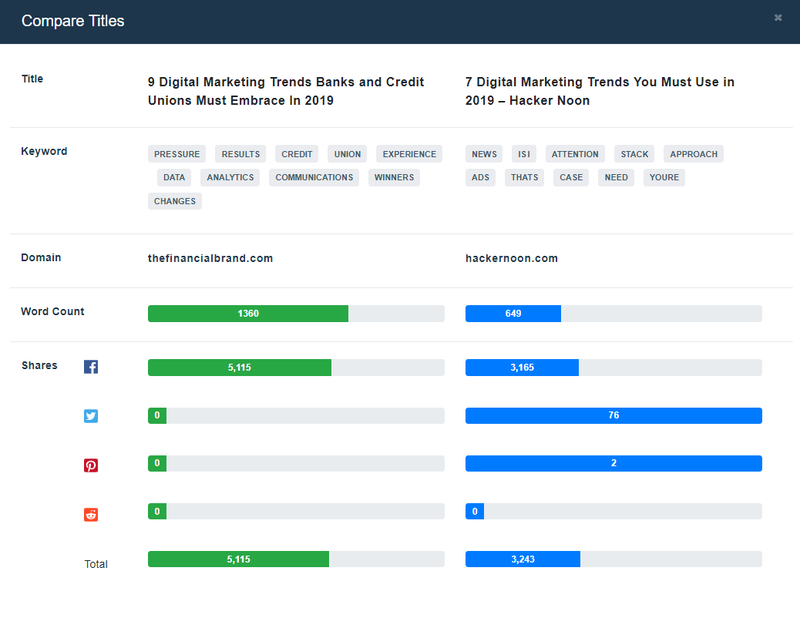 You’ll then be able to see a side by side comparison of the two posts, looking at their titles, their word counts, their keywords, and their shares on different social networks. Which is not just useful for comparisons, but also for more in-depth content research insights. It’s not just your content strategy that you can improve with Social Animal, but also your Facebook marketing. You’ll then be able to see a list of all their latest posts along with their engagement stats – which you can then also filter through by choosing to see only status updates, images, videos, or link posts to see how each has performed. 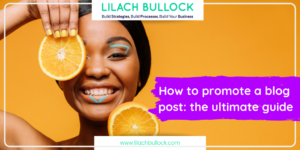 This is very useful information as, just like with content research, it allows you to better understand what types of posts work best on Facebook. 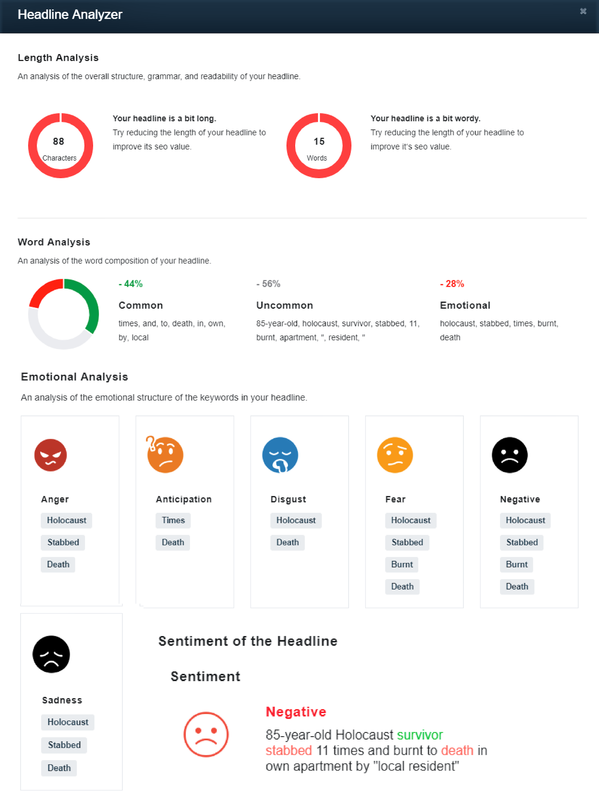 Social Animal’s “Sentiment Analysis”, a unique feature in Facebook Search provides you with the sentiment that works best with captions and the articles you post for any particular topic or keyword. Plus, you can also use these features to monitor your competitors on Facebook and keep on top of their Facebook strategy. 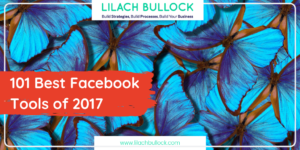 You can then order these results based on engagement – likes, comments, shares, and followers – and explore them to find inspiration and to discover new Facebook influencers to work with. To analyze Facebook Pages, click here. And these are just the main features! 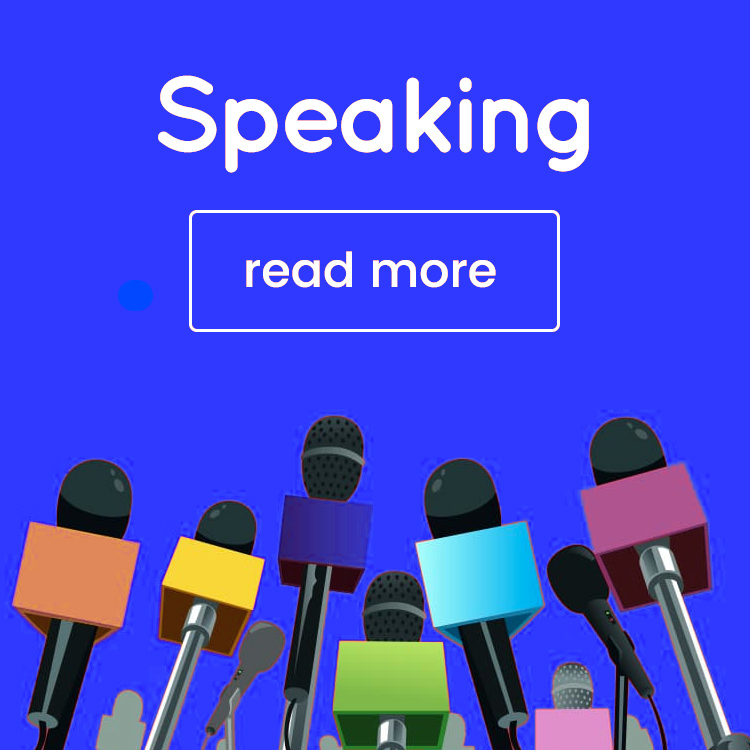 Plus, they’re working on a new feature, which is currently in beta, which finds all the trending topics being discussed around the world – a very useful feature for timely content creation and for content curation. 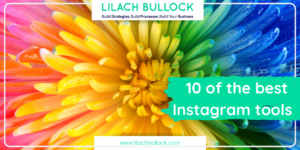 WOW, Lilach, I’ve seen Social Animal, but had NO IDEA of the depth and value this tool offers! 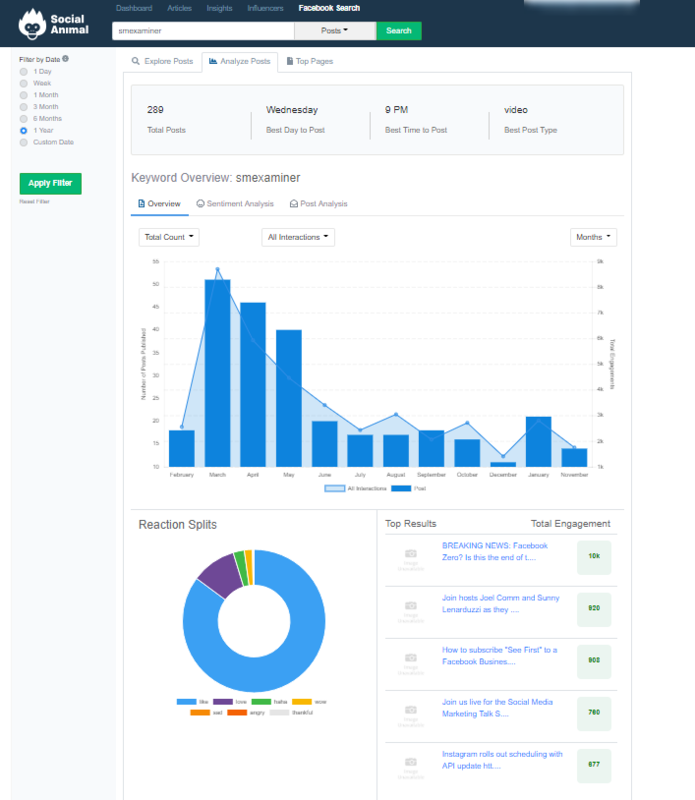 As an SEO with active clients (www.lionheartseo.com), this is a top ‘must have’ tool to give my clients a competitive advantage. I can’t thank you enough for writing this article, and for laying out this info in such an easily-digestible way. You are awesome! Thanks Lisa 🙂 Delighted you found the article helpful. Yes SocialAnimal has some very cool features. Definitely recommend you give them a try!